House with garden in closed urbanization. Located in an exclusive area composed of elegant individual homes and urbanizations in which people is residing throughout the year, so it has all amenities (supermarkets, banks, pharmacy, shops, restaurants, ...). The area is around the Golf Club Vistahermosa and the beach, being a very quiet area and you can walk with all safe. The house is located approximately in the center of this environment. Near the house there are several bus stops (lines 3 and 5) that connect to the access to the beach of Santa Catalina (access to the beach closest from the house are Vistahermosa and Las Redes). The same bus lines go to the main population center and train station, there are direct trains to Jerez de la Frontera (10 minutes), Cadiz (30 mins), Seville (1 hour and 20 minutes) and Cordoba (2 hours). The house is located inside a closed urbanization. Own parking space within the urbanization. 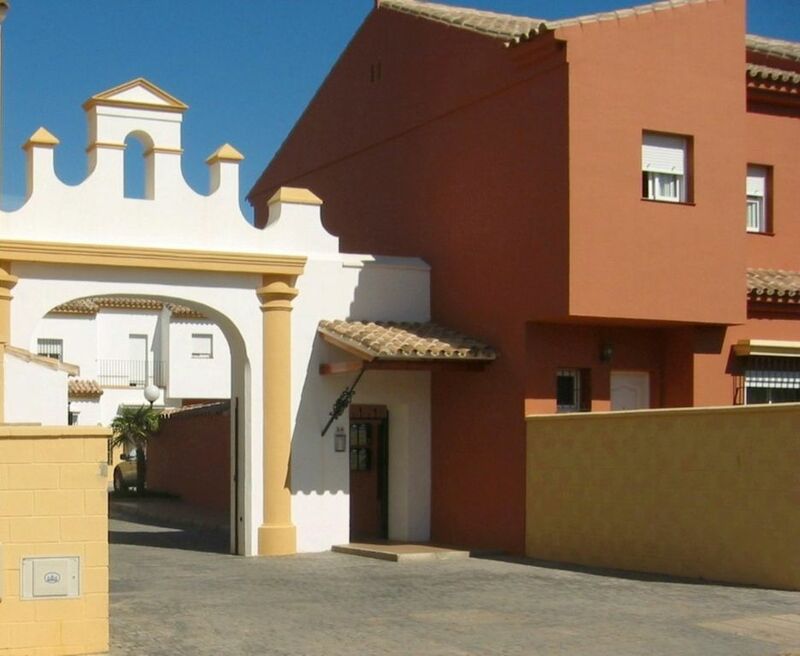 House located in gated and in a calm and pleasant environment Vistahermosa area. Located in the center of an environment shaped beach, golf course and shopping center with supermarket, shops, restaurants and pubs. There are two private gardens. One entrance to the house and another later. Fully equipped kitchen. Own parking space within the development. Distributed on two floors. Downstairs are the lounge, kitchen, 1 bathroom and a separate room. Upstairs are 3 bedrooms and two bathrooms. arras/deposito de reserva. El 25% del importe de la reserva no será reembolsable en caso de cancelación.